I want to start this post by stating there are many great business coaches and mentors for Personal Trainers. I've interviewed many and we've all learned a lot from them. However, there has been a dramatic rise in self proclaimed business mentors preying on personal trainers and leaving them with nothing but debt. This article is here to help you determine the real deal from the ones to avoid. 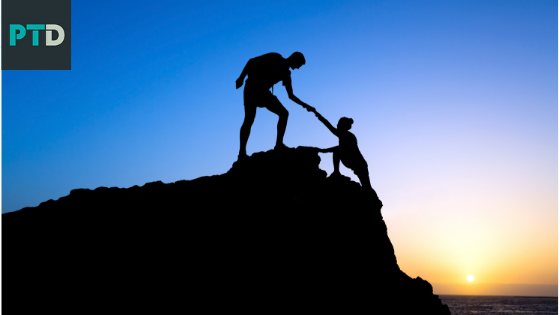 According to the Cambridge Dictionary, a mentor is "a person who gives a younger or less experienced person help and advice over a period of time". The original meaning of Guru is "religious leader or teacher in the Hindu or Sikh religion". However, in its informal use that is now widespread in the Western world, the word is used for "a person skilled in something that gives advice". I've heard many stories where PTs got themselves into credit card debt on the premise that they will make it back and more instantly. Does "6 figures" and other flashy statements sound familiar?! If you feel you're in need of a business coach to help you, I think you should definitely find one and reach out for help, just make sure you are aware of the following red flags when talking to a potential mentor you want to hire. If something sounds too good to be true, it probably is. I believe in dreams and ambitious goals, but we all know how crucial the SMART goal setting is for personal training clients. The same applies to business goals. Especially, if the promise happens before the guru has any understanding of where your business stands right now. For this I'll use myself as an example. I am a founder of PT Distinction. All my profiles across social media are full of posts that shout that from the rooftops. Yet, I receive friend requests regularly from self-proclaimed fitness business mentors who think I'm a personal trainer. While there's no problem with that assumption by default, it wouldn't take more than 2 minutes of research for a guru to find out I am not their target market. The fact they are not willing to put in that little amount of work is alarming. Even if I was their target market what are they doing randomly friend requesting me and contacting me in my Facebook PMs without any previous interaction? If this is the way they get clients in their business they have no place teaching you how to get clients! There's no big business in the world that would look to get new clients in this way. Red flag #3. "If You Sign Up Today, You Save..."
Let's say you talk to a mentor, discuss your fitness business goals, the person seems legit at first, and then you arrive at the investment discussion. The business coach tells you that if you commit there and then, you pay half of what you would the day after. This is a pressure tactic designed to push you to make a decision without the correct consideration and due diligence. If they're happy to give it to you today for a certain price, they should be happy to give it to you at the same price after you've considered your options and done your research. Referring to the definition of a mentor, someone who claims they can help you take your business to the next level should be able to demonstrate a successful track record in being able to do what they promise you, both through a company of their own and the successes of their clients. If a mentor can't show their own successful business (outside of their mentoring business!) and testimonials from successful students this person is simply not the real deal. Don't listen to any excuses as to why they can't show proof, success leaves clues. While it's possible to run a business without a website, anybody who claims to be able to help fitness professionals with their online marketing strategy to gain more clients should be able to showcase the process on a website. Red flag #6. Promoting a Single "Best Marketing Method"
Like there are many methods clients can follow to achieve a specific fitness goal, there are many strategies you can employ within your fitness marketing to grow your audience, get more leads and convert them into clients. There are no cookie-cutter solutions and the best are the ones that build on your strengths and correctly target your ideal clients. In conclusion, I believe that there are many incredible mentors and business coaches out there who are committed to helping fitness professionals make the most out of their business. Equally, there are many fitness professionals who at some point in their business' life can and should use expert help to overcome a roadblock. If you feel that's where you are now, watch out for red flags when talking to a business coach first. Focus on data and logic and recognise when someone is trying to play on your emotions to get you signed up. The relationship between a mentor and a mentee should focus on building trust and prioritise a mutual interest in your success. If at any stage your gut tells you something alarming during the initial consultation process, I recommend you take a step back and do your research on that person before paying them your hard-earned money.